While roofing shingles have a considerably long lifespan in the age of the house, they do need to be replaced when they become excessively worn or damaged. 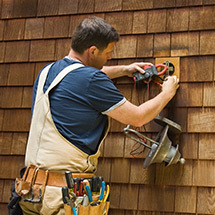 Whether you have a leak in your roof, wish to save money on heating and cooling bills, or simply want to update the color or style of the shingles, complete shingle roof replacement might make more sense than trying to get by on increasingly frequent roof repair. Reasons for replacing the shingles on your roof include leaks of rainwater from the outside into your attic or living spaces, worn-in places that admit light, aesthetically unattractive wear, streaking or damage, and the desire to better insulate your house to improve its energy efficiency. Of course, if your roof is damaged enough to let in water or light, you need to act quickly. 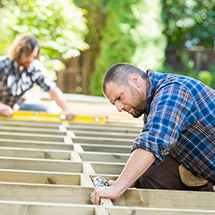 Have our Charleston area roofing contractors repair it to improve the comfort and safety of your family and home. Removing existing shingles and roofing for a complete shingle roof replacement is the first step toward redesigning your home with a new, more efficient style. 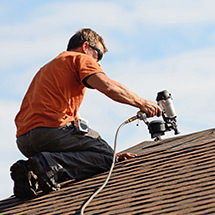 Our skilled and experienced roofers operate with the most stringent safety guidelines and respect for your property. All old shingles and roofing will be removed from your Charleston or Mt. Pleasant property and disposed of correctly. Using our 20 years of experience replacing roofing shingles, our company can efficiently replace your old roof with the shingles you choose. There are so many colors and textures available to suit every home, including asphalt shingles and CertainTeed Lifetime shingles. 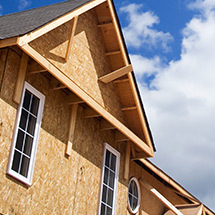 No matter which style you choose, a new roof will greatly improve the appearance of the house, stop any future water damage and create a barrier that will make heating and cooling your home much more efficient and less expensive in the long run. Learn more about the re-roofing and design process here. Please review the following videos to learn more about our roof repair and replacement services.